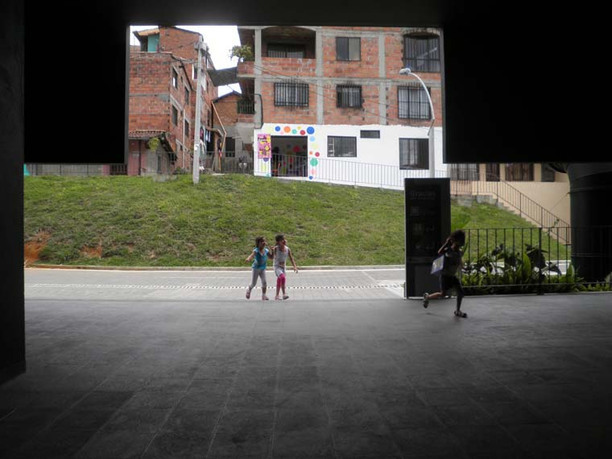 Enlace Arquitectura, Plaza Malabares, 2009, Caracas, Venezuela. Photo: Elisa Silva. 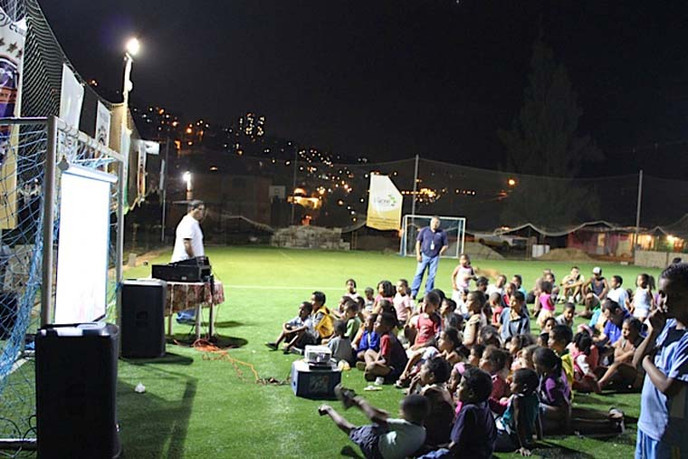 The contrast between an informal settlement community that enjoys some form of public space and one that does not is stark. 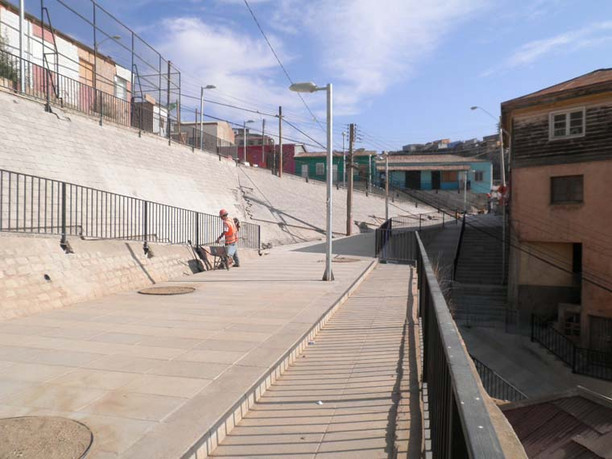 As a scarce commodity, public space in these informal settlements is intensely used and valued by the community. Pure Space presents the analysis of public space interventions in communities of Valparaiso, Chile; Rio de Janeiro, Brazil; Medellin, Colombia; Guayaquil, Ecuador; Lima, Peru; and Caracas, Venezuela. Most of the projects have never been published, in part because they were not primarily concerned with design, at least in the conventional sense of its role. 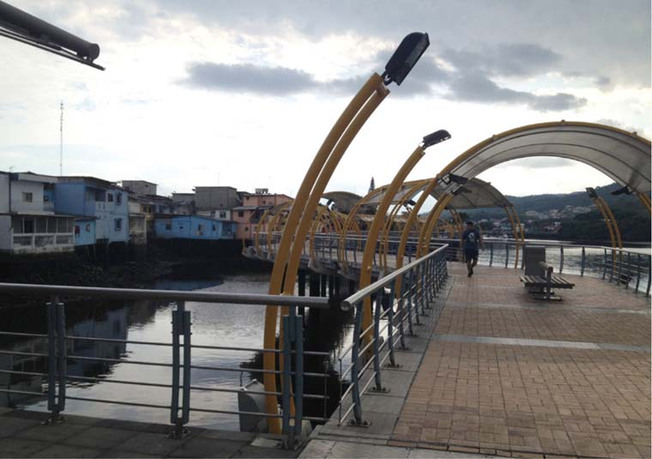 Their merit lies in the fact that they effectively justified an economic and community investment in public space and overcame the challenges of implementation. They encode practical knowledge that can be registered and disseminated to encourage replication. Analytical maps further demonstrate the spatial implications public spaces have on their surroundings and strengthen arguments to increase public space investment in informal settlements. Elisa Silva is principal of Enlace Arquitectura. 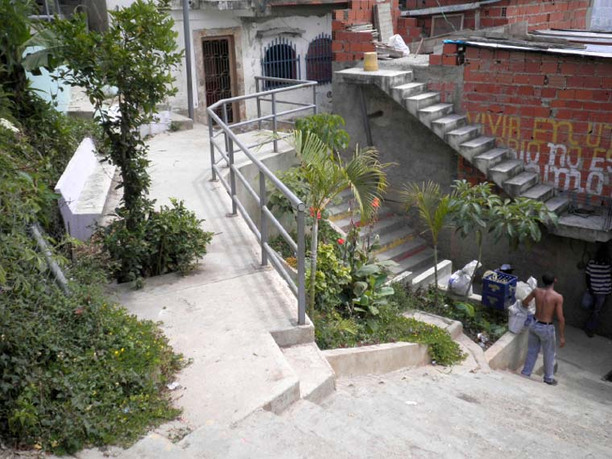 The office has received numerous design awards for built work, publications, and competitions including the Sabana Grande Boulevard Pavement project in Caracas Venezuela built in 2011; the Walk 21 award for Puerto Encantado Higuerote Venezuela in 2016; and finalist in the Activism category of the Architecture and Urban Design Biennial in Valparaiso Chile 2017. 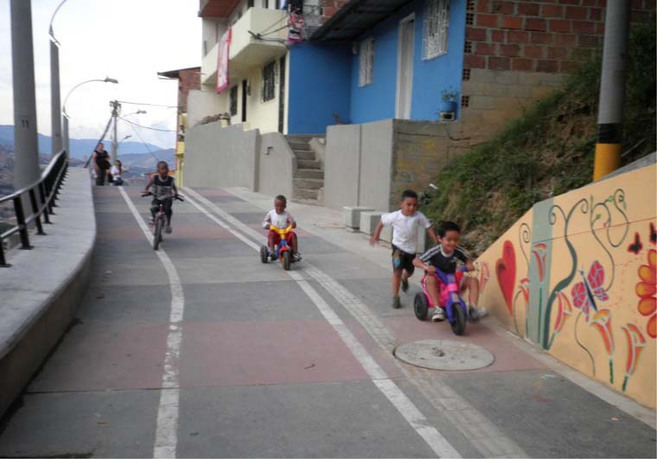 Silva is coauthor of CABA Cartografía de los barrios de Caracas, 1966–2014 (Fundacion Espacio, 2016), Pro-Inclusion (CAF Development Bank of Latin America, 2016), and Inclusion de habitants en la ciudadania plena (CAF, 2013). She received a master's degree in architecture from Harvard University in 2002. In 2005 she was awarded the Rome Prize from the American Academy in Rome and the Wheelwright Fellowship from Harvard University in 2011. She teaches at the Simon Bolivar University, is consultant in urban development to CAF Development Bank of Latin America, UN Habitat Mexico and adviser to Sucre Municipality and the Metropolitan Caracas Municipality in Venezuela.